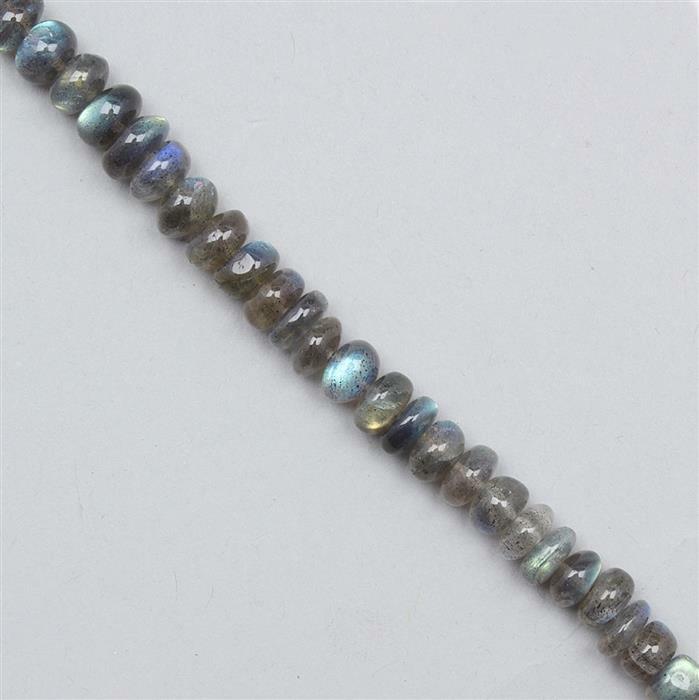 190cts Labradorite Graduated Plain Rondelles Approx 5x2 to 9x4mm, 46cm Strand. These Labradorite Plain Rondelles are a must have! They will compliment your designs perfectly. I really like labradorite. This strand is full of colour, it bounces off the stones, it's lovely. 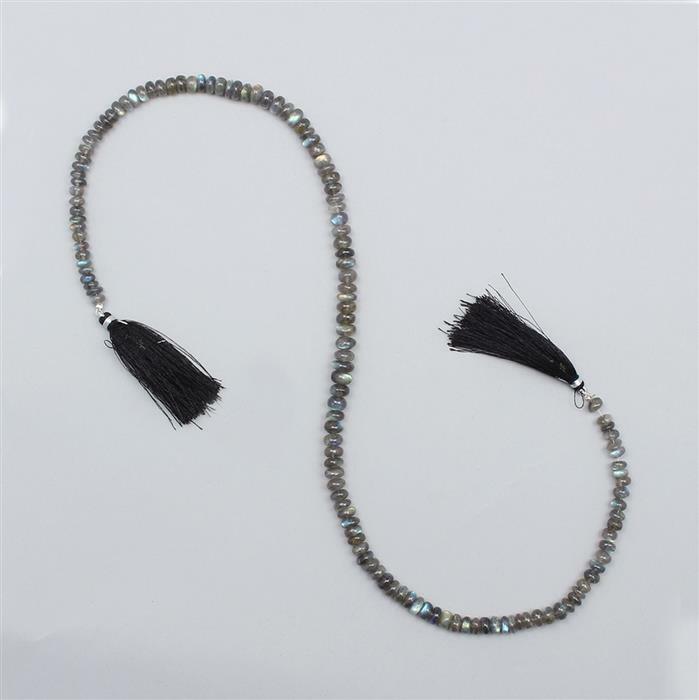 We are very sorry to hear that some of the Rose Quartz stones had lot's of white marks on them, this is not the sort of quality we would usually expect. If you wish to discuss this with us in the meantime, please call Customer Services on 0800 6444 655, Option 2, and they will be happy to help you.